Ah, the fireplace. 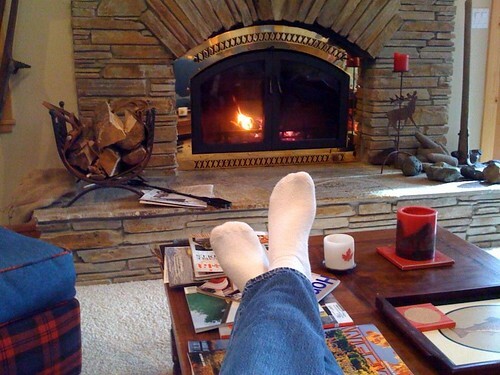 It was so nice to get out of the city for a while and lounge in front of the fireplace with a good book. Rand and I went to his parents' place in Tahoe with our friends Sean and Blake. We had a couple of good dinners, played some cards, watched some scary movies, and enjoyed the peace and quiet of Tahoe before the start of the ski season.